Routine car maintenance is one of those bothersome tasks that people tend to postpone for as long as possible, but Cobblestone can make the process speedy, simple, and painless for you. Our car maintenance services team will give you an oil change and inspect your vehicle to detect any potentially serious issues. You’ll be back on the road in no time! 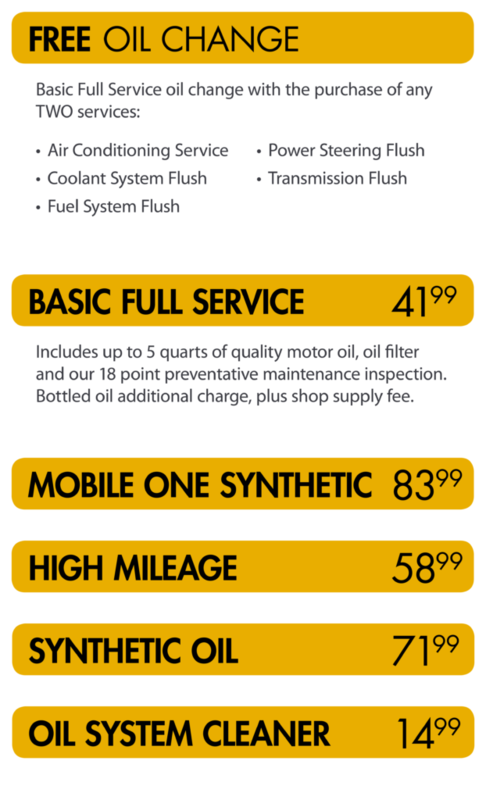 At Cobblestone, you have your choice of standard, high mileage, synthetic, or Mobile One synthetic oil. Any time you select our full-service oil change, we’ll also perform our 18-point preventative maintenance inspection—it’s a great way to keep on top of your vehicle’s health. Many customers also select our oil system cleaner service to remove some of those persistent contaminants from the vehicle. So come on over and visit us! You can find Cobblestone in Phoenix, Mesa, Chandler, Scottsdale, and Gilbert, as well as several other communities throughout Arizona.